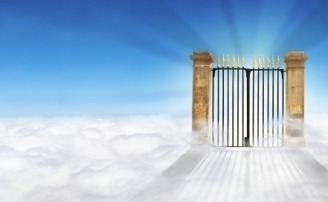 You can know for sure that you are going to Heaven and that you will spend eternity with God when you die. When asked the question, "Where will you spend eternity?" most people say they "hope" or "think" they will spend it in Heaven. But they are not positive if they will. 1 John 5:12-13 says, "He who has the Son has life; he who does not have the Son of God does not have life. 13 These things I have written to you who believe in the name of the Son of God, that you may know that you have eternal life, and that you may continue to believe in the name of the Son of God." It is a common misconception that by being baptized or by doing “good works” you will be guaranteed a place in Heaven. John 3:3 tells us “Jesus answered and said to him, "Most assuredly, I say to you, unless one is born again, he cannot see the kingdom of God." It is not what we have done, but what God has done for us that secures our salvation and our place in Heaven. Ephesians 2:8 says, "For by grace you have been saved through faith, and that not of yourselves; it is the gift of God". Eternal life, or salvation, is a free gift from God. You cannot earn it. It takes more than just believing there is a God to obtain salvation. The Bible says that even the demons in hell believe there is a God, and yet, they will not be saved. Romans 10:9-10 says "that if you confess with your mouth the Lord Jesus and believe in your heart that God has raised Him from the dead, you will be saved. 10 For with the heart one believes unto righteousness, and with the mouth confession is made unto salvation. Salvation comes through believing in your inner-most being that Jesus is the Son of God and confessing Him as Lord. Romans 10 does not say if you just believe and give mental assent to the Lordship of Jesus Christ, then you will be saved. Someone once said we do what we believe. If I say I believe that Jesus is Lord, yet continue living life on my own terms, then I really only mentally agree that Jesus died for my sins and was raised from the dead. I have not made a heart connection with God, and therefore am NOT born again and will NOT be spending eternity with God in Heaven. Remember, Romans 10 tells us that "if you believe in your heart that God raised Him from the dead, you will be saved. For with the heart one believes unto righteousness..."
When my heart connects to Jesus and what He did for me, what He purchased for me with His own blood, and I desire a relationship with Him, then that's an indication that my heart is believing unto righteousness. The next step is that I'll make confess with my mouth that Jesus is Lord of my life, and that's when I'll receive salvation. Does that make sense? If it does and if that sums up where you are right now, then pray this prayer with me, "God in heaven, I know I am a sinner and that I need Your help. I believe in my heart that Jesus Christ is Your Son and that He died on the cross for my sins and that You raised Him from the dead. Jesus, right now I open my heart and invite You to come in. Make Yourself real to me. Please forgive me for all the wrong that I have done. Be Lord of my life. I want to live for you. I receive you right now as my Lord and Savior. Amen"
If you prayed this prayer for the first time today, let us know! Or if you prayed this prayer with a deeper understanding of what it really means to be born again, then let us know! You've just started the most amazing journey! You can fill out the "Contact Us" form with all the details! Now there are a couple of things you'll want to do right away! Get a bible. The Gideon's give them away for free, and start reading it every day. Start in the New Testament and Psalms. If you would rather listen to the Bible, bookmark this site. We included an audio Bible on this website which give you access to 452 different languages. Now you have excuse! Find a bible believing church. If you need help with that, fill out the Contact Us form and we'll help you find a good church. Start hanging out with other people who love God and are hungry for His presence. Listen to praise and worship music. We even have some music on this site under the Resources tab. Stay in touch with us and let us know if you have any questions or need prayer. God bless you and welcome to the family!